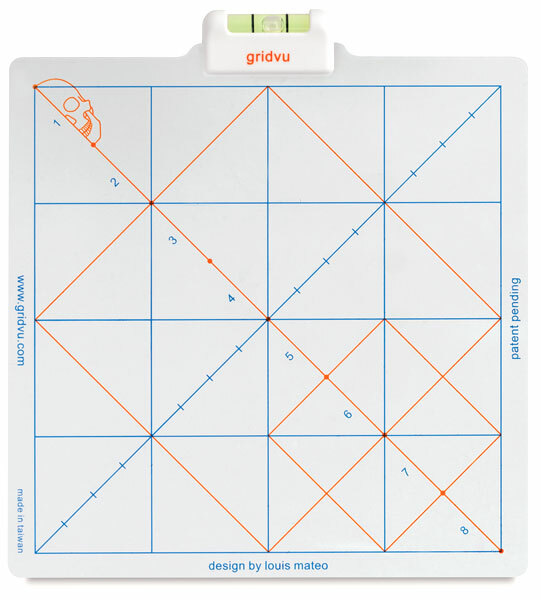 Gridvu is a viewable grid system that helps artists observe the interplay of visual elements in terms of scale, direction, and location. 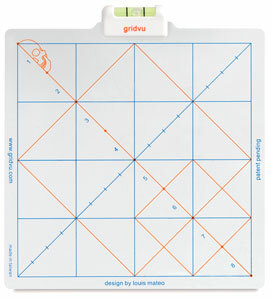 An innovative yet simple tool, Gridvu simplifies scale and proportion by making it easier to locate a subject's center. Its clear viewing grid provides a reference for closer observation of lines and shapes in drawings or paintings, and breaks down sizes and distances into easy-to-calibrate sections. Gridvu's tool measures 5½" × 5½" (14 cm × 14 cm). ™ Gridvu is a trademark.